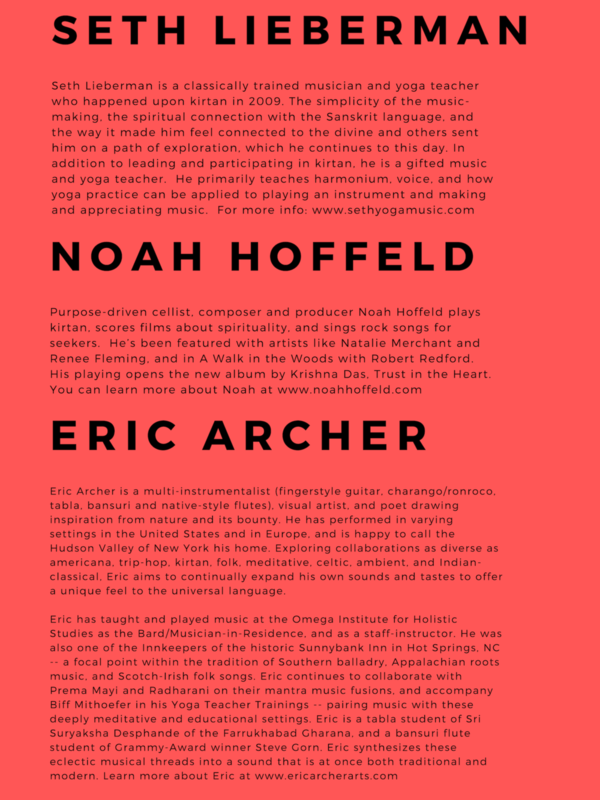 Join Seth Lieberman (guitar/harmonium), Noah Hoffeld (cello), Eric Archer (tabla/flute), and Sonya Bekkerman (harmonium) for an intimate kirtan in Sonya’s home on the Upper West Side of Manhattan. All are welcome. RVSP required. Please email Debra at jotpad@hotmail.com to RSVP and for exact location. Please arrive by 6:45pm. Suggested $30 for artists, payable at the door. Cash only. Signup for email updates, offers, and inspiration!